Does Bono have a point? The organisers of the World Economic Forum might just be feeling a bit narked. But, being inscrutably Swiss, you’d probably be hard pushed to tell. Domestic matters have taken precedence over the annual capitalist fest, and a number of the Forum’s political heavyweights were no-shows. President Macron was busy hosing down France’s Gilets Jaunes. Our own Mrs May decided against going claiming she was busy making plans for you-know-what. The Donald was conspicuously absent on account of a local disagreement with US government workers. Never mind. The exclusive resort will still play host to plenty of other unsavoury world leaders, including Mr Bolsonaro, the newly elected president of Brazil who has pretty much signalled that the Amazon and all its natural resources is up for sale. Understandably, this yearly gathering in Davos of the world’s elite comes in for a fair bit of knocking. How can it be right that gas-guzzling private jets ferry in people from around the globe to talk about climate change? Can you really focus your mind on solving world poverty and hunger having just stepped away from the groaning breakfast bar of a five star hotel? Is it really possible to take Bono seriously when he comes out with a line like “capitalism isn’t immoral – it’s amoral”. Yeah, right Bono, mate, thanks for clearing that up. 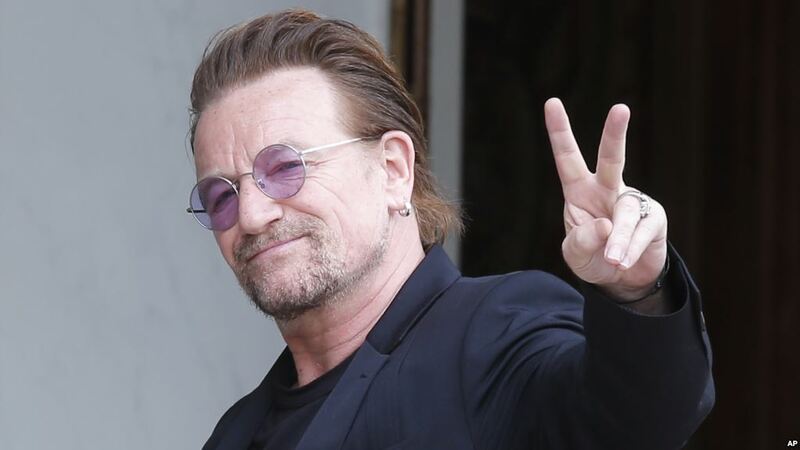 It’s a neat bit of middle ground wordplay for Bono – a man who relies on being of the people, wants to be for the people but who is considerably richer than most people. But does he, perhaps unwittingly, have a point? The context of what he was saying is that capitalism, for all its dubious morality, has a rather better record of achieving good than other systems – in short, it may be a necessary evil. Aha – so that’s why so many of our cabinet., including our Health Secretary, Matt Hancock, felt justified in attending. In fairness to Hancock, health does seem to be quite prominent on the WEF’s agenda. He took a solo spot to set out the UK’s national action plan to tackle antibiotic resistance. He’ll also meet global health ministers – so look out for those references about how the Rwandans have digitalised their health service. There are other health related topics being discussed under the aegis of “Shaping the future of health and healthcare”. Stand out initiatives include the Zimbabwean grandmothers who are setting up “Friendship Benches” to address the issue of mental health in that country. There’s also a long and fascinating list of “Human Centric Health” case studies giving details of how corporations are supporting projects aimed at improving people’s health. The debate about capitalism and its frequently uncomfortable relationship with health and healthcare provision will, no doubt, rage on. At one level, unapologetically flaunting excess, the Forum is unlikely to win the hearts and minds of those of us who aren’t billionaire business magnates, dictators or world leaders. At another level, you’ve have to give it some credit for getting people to raise the issues at all.